SULLIVAN COUNTY, NY (December 27, 2014) – The Western Sullivan Public Library has added Ancestry.com Library Edition for genealogical research to its online resources. 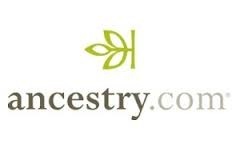 Ancestry.com Library Edition is, “an unprecedented online collection of individuals from North America, the United Kingdom, Europe, Australia, and more” according to Proquest, the parent company of Ancestry.com Library Edition. The Library Edition version of Ancestry.com is accessible in-house only at all three branches of the library either through a wireless device or one of the library’s computers. Another research tool now available to users is Heritage Quest which can be accessed both at the library and through the website at wsplonline.org. Patrons will need to enter their library card barcode to gain access to Heritage Quest from outside the library. For those interested in genealogical research, the library offers a genealogy program, It’s All Relative, at the Delaware Free Branch in Callicoon the second Tuesday of each month at 6:00PM. Group members will use Ancestry.com Library Edition, Heritage Quest, and other library resources to explore, research, and collaborate on genealogy, local archives and history. For more information, contact your local branch of the Western Sullivan Public Library: Delaware Free Branch, Callicoon, 845-887-4040; Jeffersonville Branch, Jeffersonville, 845-482-4350; Tusten-Cochecton Branch, Narrowsburg, 845-252-3360.